GanjaPrint.com is a leader in custom branded cannabis related products for smoke shops and marijuana dispensaries. 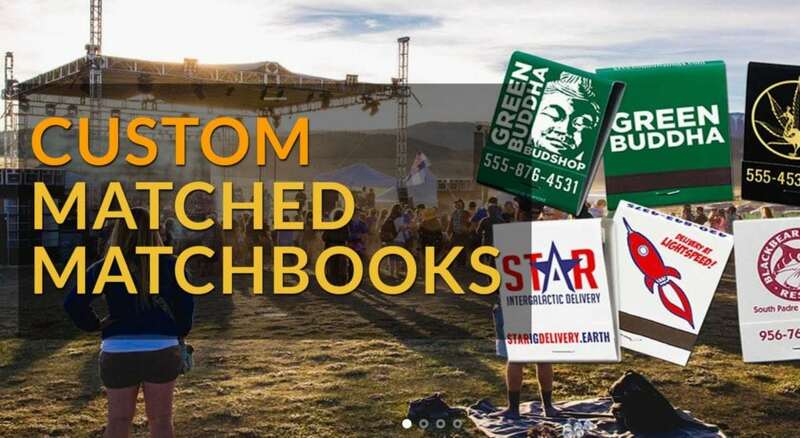 It’s founder, Patrick Woods has been running promotional product businesses since 2011 and has customers in all 50 states and in dozens of countries around the world. 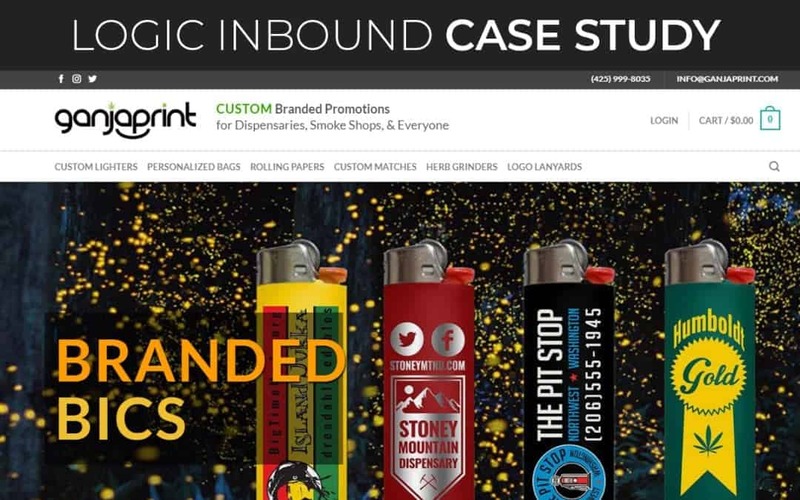 The Ganja Print team has strong understanding from how to grow a promotional products brand from many years of executing on traditional marketing campaigns, but didn’t have the skillset in-house to execute on digital marketing campaigns. Patrick and company were reasonably sure people were searching for their products, but didn’t know how much opportunity search represented, or how to execute on a successful campaign. GanjaPrint.com is built on WooCommerce, and we used our WooCommerce SEO playbook to execute the campaign. Our keyword research identified dozens of keywords related to ‘custom & ‘wholesale’ cannabis paraphernalia such as lighters, lanyards, jars, and more with tens of thousands of searches every month. Each of these searches represented hundreds and thousands of dollars in revenue of bulk, branded merchandise. The search volume combined with revenue numbers indicated that a successful campaign would deliver enough ROI to justify investing into search marketing. Our keyword research indicated we would need to optimize the home page, 7 product pages and 1 category pages to capture all the search traffic we identified. 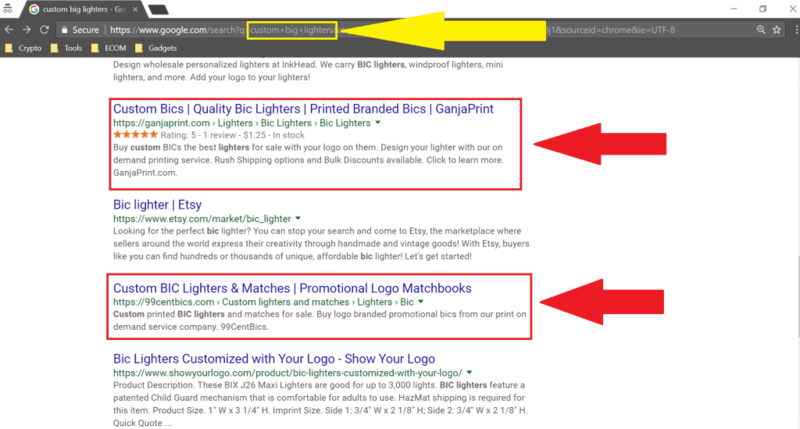 Using our strategy for on-page optimization. We looked at the strength of Ganja Print’s competitors and used our strategy for determining how much content to write, we wrote 2,000 words of content with structured data such as a table and bullet points. Using our backlink playbook, we built just enough backlinks to drive Ganja Print’s rankings and traffic through the roof. Between November 2016 and February 2018 Ganja Print achieved 51 1st page keywords, with 30% of those keywords ranking in the top 3 positions.